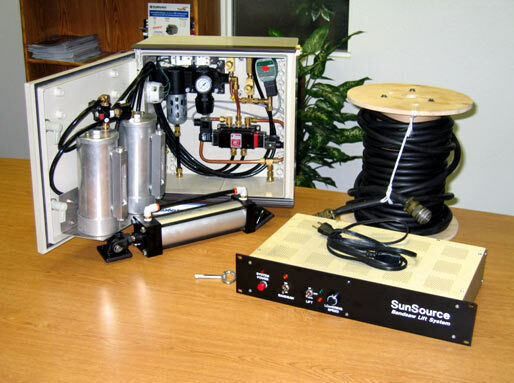 Many of our industrial projects are considered proprietary and cannot be photographed. However, please take time to view the photos we do have and contact us if you have any questions. These pictures are of a special mixer used in the mining industry for automatically generating a solution for a leach pond. This one is going to Mexico. We made two of these control panels for TriStar Design. They designed all the mechanicals and we did the electrical and controls. 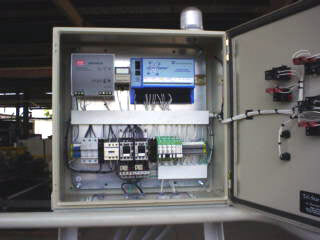 Control enclosure for a hydraulics test stand. 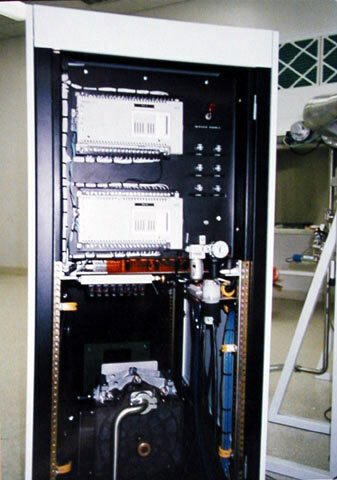 Smaller enclosure contains the flat panel display for operator. 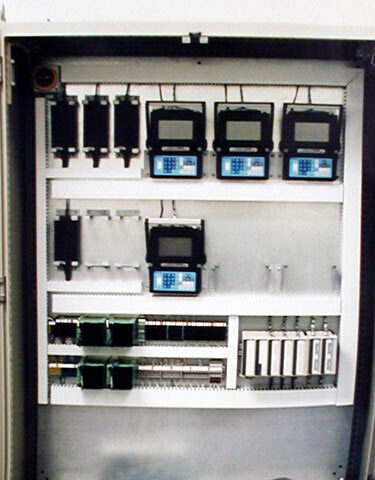 The larger enclosure held the PLC and valve drivers and served as an interface to a third pump control enclosure. 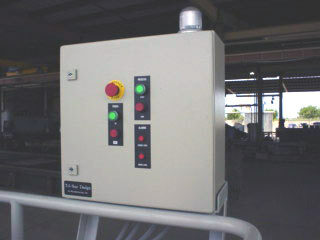 Remote control for a mine agitator designed by Arizona-based Tri-Star Design. 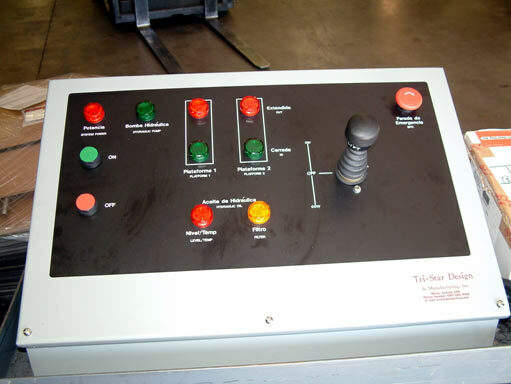 The 40,000 pound agitator rotated at up to one rpm in the direction and speed designated by the joystick. System status was given to the operator by simple indicator lights with information provided in Spanish and English. 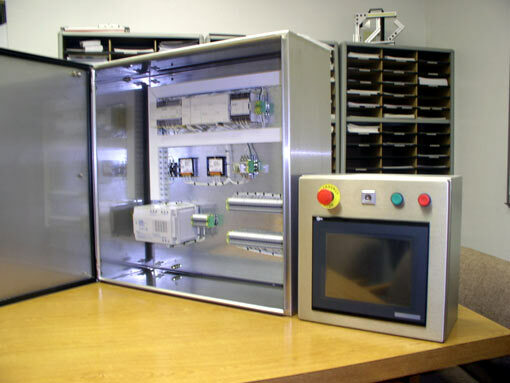 Control panel for a special application UV lamp built by California-based Prime Vacuum. System could be operated locally in a timed or manual mode, or remotely by an external controller. 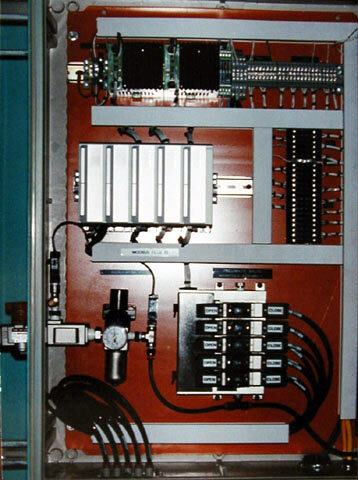 Control system used to operate a large bandsaw. The saw is used to remove the warheads from test missiles and small rockets. The main enclosure is mounted on the saw and controls the speed and direction of motion. It also had to fulfill very tight space restrictions. The remote panel is contained in a blockhouse almost 100 feet away from the saw. 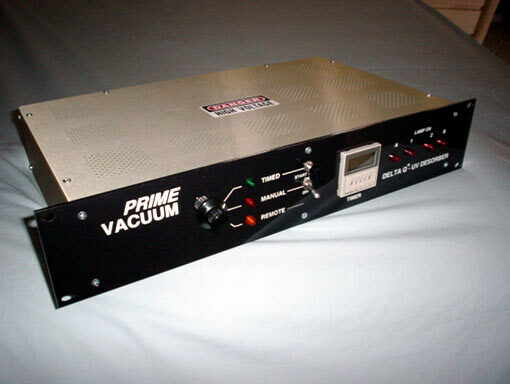 This satellite test station vacuum system was custom made for a major aerospace company in conjunction with Prime Technology of Santa Barbara, CA. 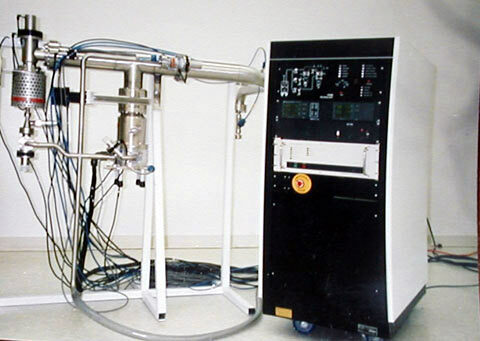 The system is shown here in a temporary test fixture. Custom Connections was responsible for the controls portion of the project. 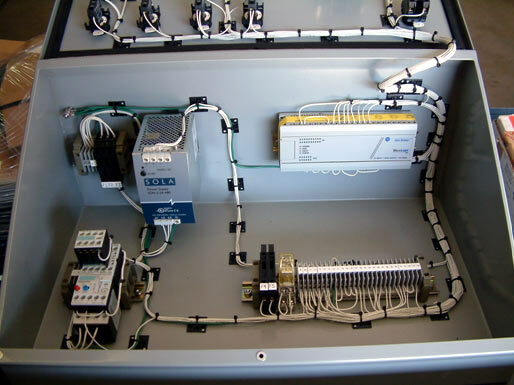 This is an Ultra-pure water facility flow meter panel used to display water flow from various points within a water system and then relay those measurements to a master control system. 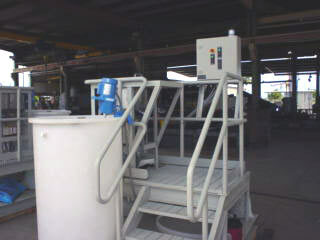 This is a portion of a DI Water production facility. 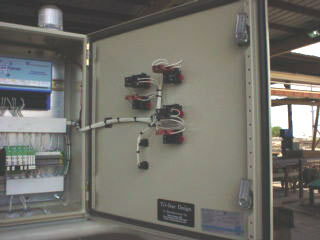 Custom Connections built the control enclosures that were ultimately installed on many of these tanks. 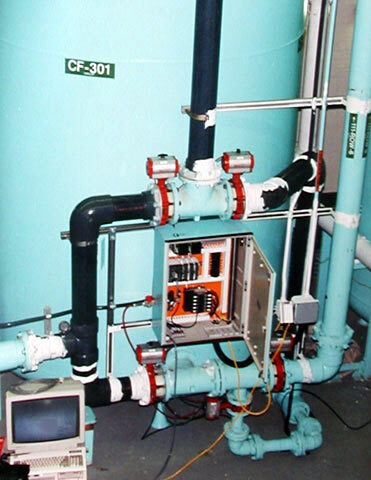 The Carbon Bed filter removed chlorine from incoming raw water. The controls managed the regeneration process for each individual filter and also sequenced that operation with the five other filters.